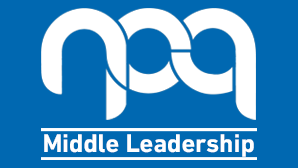 The NPQML is a nationally accredited programme for middle leaders, facilitated by experienced local school leaders. NPQ@teachingschools is a unique partnership of teaching school alliances in the wider Bristol area with a strong track record of delivering exceptional professional development. As a newly designated DfE licensed provider, the Bristol Primary Teaching School Alliance has worked with our partner teaching schools to create and deliver a new and innovative middle leadership programme designed by experienced, current school leaders in order to develop the potential of the talented and motivated school leaders across our region. Accredited by the Department for Education, this nationally recognised programme is aimed at early years, primary, special and secondary colleagues who are, or are aspiring to become, a middle leader with responsibility for leading a team such as subject leader, curriculum development lead or Key Stage leader. Minimum of 1 elective module session (½ day) on one or more of the following areas: Leading in an inner city school; Accelerating outcomes of disadvantaged pupils; staff workload and well-being; leading in a faith school context; leading in the Early Years; SEND. During the programme delegates will develop their 7 leadership behaviours: commitment; collaboration; personal drive; awareness; respect; resilience and integrity. Delegates can choose to access this programme at one of our hubs which will be run according to numbers in each location. The applicant’s school has <150 pupils on roll as referenced on the latest DfE school performance tables website. OR a 10% reduction to full course fees will be applied to the second and subsequent applicants if more than one person from your school makes an application to participate in the same cohort of NPQML. In 2018-19 full course fees were reimbursed by the DfE for participants meeting the following requirements: this funding is not expected to be in place for autumn 2019 cohorts. The Department for Education has not previously paid for their NPQ course.